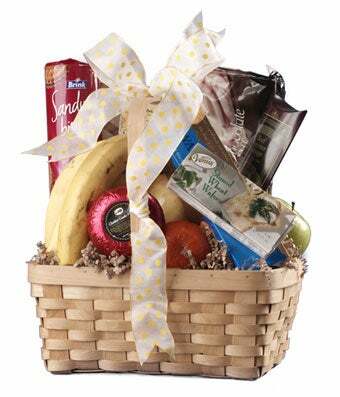 Commend any event with this superb gift basket overflowing with healthy goodness. All-natural products, including apples, bananas and grapefruit are supplemented with sweet and appetizing snacks. A fun and bubbly ribbon bow completes the look of the Afternoon Delights Basket. Make them smile. Send today for same day delivery! Please note: contents may vary.